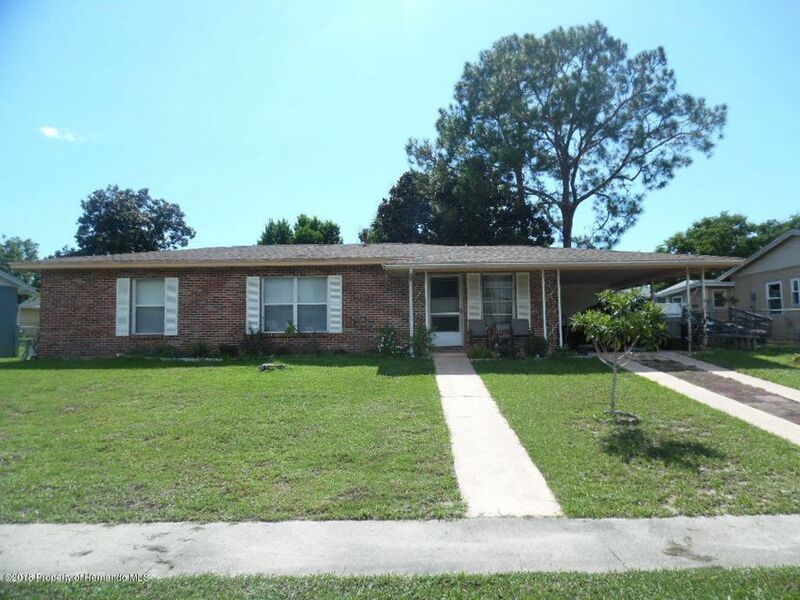 Lovely true 3 bedroom, 1.5 bath home located in the heart of Spring Hill. Kitchen has been updated with new cabinets, open faced upper cabinets for displaying your china. Full appliance package included. The 1/2 bath is in the Utility Room which is conveniently located near the kitchen. All bedrooms are spacious and already have ceiling fans installed. Easy care flooring includes laminate, terrazzo & ceramic tile in wet areas. Attached carport for parking with a storage room. The carport can be enclosed if you are looking for a garage. Enjoy the Florida weather on the screened porch or in the fully fenced rear yard with plenty of room for a pool if you want to add one in the future. Be sure to view this home before you make your decision. I am interested in 6256 Danbury Street, Spring Hill, FL 34606.